The manliest comb on the planet. 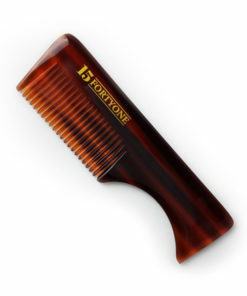 Made from the finest plastic on the planet and great for most hair types, this fine/coarse toothed comb is guaranteed to keep your hair looking good. Measuring around 18cm in length, this stylish looking comb boasts a highly polished finish for a totally sophisticated edge. Suitable for many hair types.